NO MORE HASSLE AT NAPTIME! Sometimes it was really hard to get our little one to sleep. She wouldn’t stop crying and we didn’t know what to do. Eventually, we figured out that timing was key and it’s very important not to try too early and especially not too late. 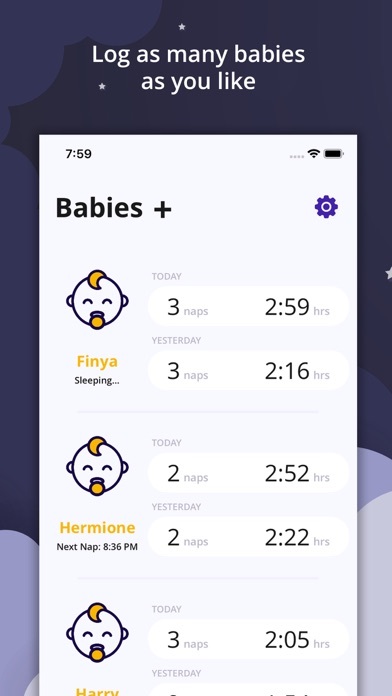 We started logging our baby’s naps to figure out when the best time for her next nap would be. 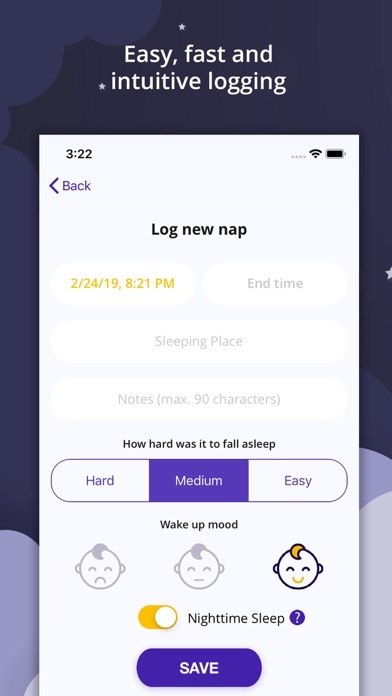 Eventually, we came up with this app that not only allows us to log our baby’s naps, but it also reminds us about upcoming naps. 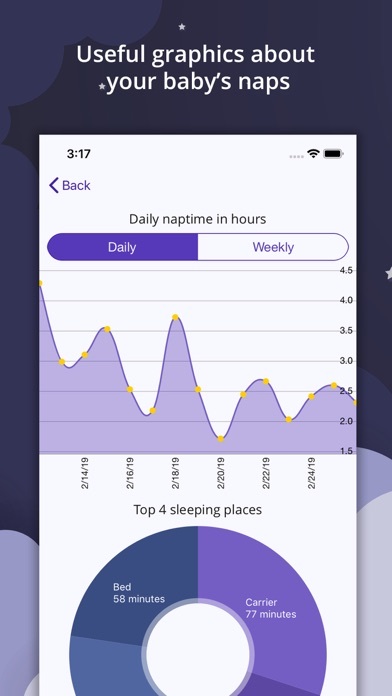 It shows trends, our baby’s favorite sleeping places and all important information about the naps. 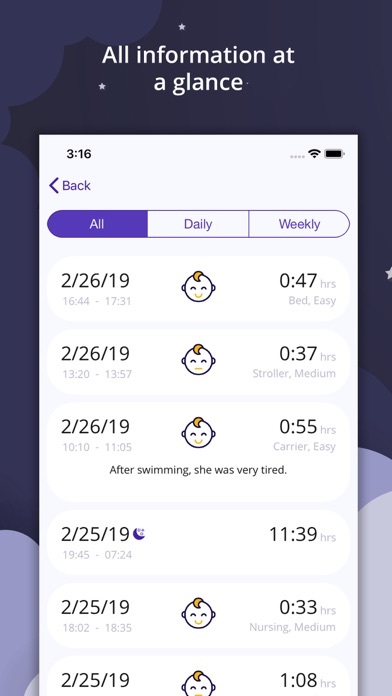 You can log as many babies as you like and if you forget to start the timer at the beginning of a nap, you can just manually log it later. 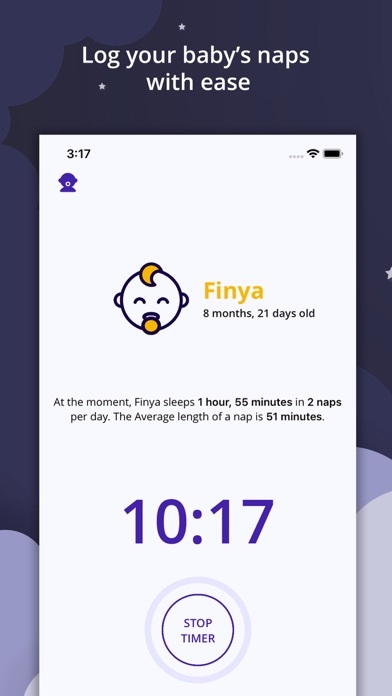 By providing information like the sleeping place, how hard it was to fall asleep and the mood the baby woke up in, we calculate the ideal time for the next nap and your baby's favorite sleeping places. Our graphs and lists are updated in real time and show you all kinds of useful information and will help you to identify trends. If you like, you can even activate notifications so that you can be sure, you won't miss the sweet spot for the next nap.